One of my lovely friends, and her three children, has just left the house after endless cups of tea, lunch and a long needed catch up. We always have a good talk, a bit of a moan and try to put the world to rights. We sing from the same hymn sheet and agree on a lot. Friends like that are priceless. This is my friend who I escape from the real world with; she is my gig partner, festival partner and weekends away to catch live music partner. She is outwardly confident with a big circle of friends. I, however, have a small circle of friends. In fact I would say a handful. I've always been like that. It takes me a while to forge a good friendship and I don't get close to too many people. 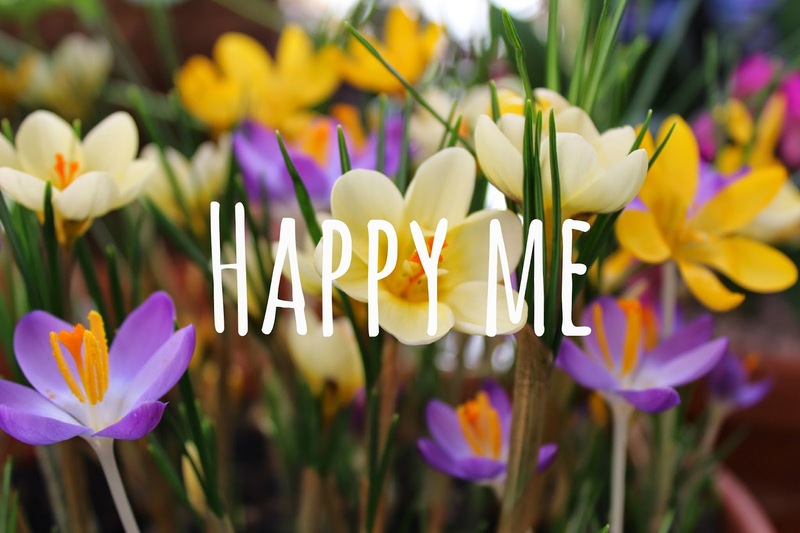 I am happier in a small group, building up my confidence and building up my trust. That's where my comfort zone is. The school run can sometimes feel a bit traumatic seeing throngs of mums happily chatting in huge groups - I want to break into those groups as maybe in there somewhere is someone I could really connect with. But that huge group to me is daunting. In these situations I may be seen as brusque but actually, get to know me and you'll find that I'm not. Big social events don't appeal as all I see are walls of people; people I don't know, people I have to hold a coherent conversation with. I need to know that someone is there waiting for me, a seat has been saved, that I have a go-to person I feel comforatable with. So, am I shy? Do I have a problem with confidence? For one thing my job doesn't allow me to be shy. Put me in front of a room full of 4 year olds and parents and I am quietly confident. Through this blog, and other forms of social media, I have been fortunate to meet some lovely folk. I have on paper met 'strangers'. I have met up for coffee with some, shared gin cocktails with others and spent a weekend in London. I don't see these folk regularly but have made positive online connections with them. They have supported me in numerous ways when real life friends haven't been available. That connection seems to be the key. And the confidence to meet up with them has never been an issue. Some people may see that as odd - why make friends with strangers? Why can't you find more real life friends? After a big chunk of my adult life feeling like this I have finally given myself a label. I do believe I am an introvert. And I am happy with that. Think you understand what an introvert is? We're not necessarily the ones standing quietly in a corner fiddling with our phones avoiding eye contact. Introversion, in fact, remains a frequently misunderstood personality trait. I match most, but not all, 23 points. Well, put me in a field of complete strangers and drop The Killers on a stage and I'll definitely feel high from those surroundings. But, if you see me sat at the end of a seat on a train don't try and make small talk with me. Does any of this sound familiar to you? What personality traits do you have? Oh my goodness! VERY familiar. I'd never really considered myself an introvert, but I sound just the same as you! After going to the same school with my kids for 10 years, I still don't stand with other parents in the playground! I go to school events on my own and go quiet with a group of more than two or three people. Yet stick me in front of the Levellers and I lose myself completely! We are indeed similar then! 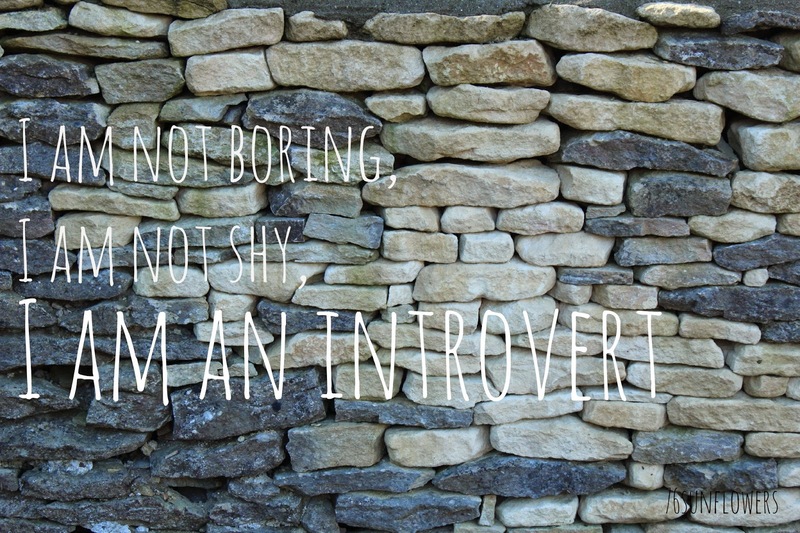 I'd like to do a study into introverts and bloggers and see how many match up! ahhhh we are so alike! I can quite happily present to a large group, have no problem public speaking, attending interviews and adored drama at school, really enjoy all of those experiences. Yet, I have a small number of close friends, would always sooner meet one person or a small group than go to a big party, and in a room full of people I don't enjoy mingling/networking and get a bit overwhelmed with it all. Having done mentoring in the past for groups of teenagers, where we explored introversion and extroversion, something another mentor described really resonated, and it has stuck with me. It was suggested that what makes you an introvert/extrovert isn't simply about what you enjoy, or where you are comfortable, but about where you get your energy from. It wasn't until I thought about it that I understood what he meant, but in terms of what I do to recharge/unwind, it is very definitely for me about quiet time, some peace and my own company, whereas extroverts will tend to want to socialise/chat to relax. I liked that explanation and it seems to have held true!